I had already read most of F. Scott Fitzgerald's books when I came across this joint collection of stories. I found Zelda's work just as impressive as her husband's - very similar, in fact. I read everything about them I could lay my hands on. It sparked an ongoing interest in how the lives of authors shape the work they produce. I first read this story about the friendship between two Tasmanian children - one white, one black - when I was 10 years old. My family had just moved from East Africa to Tasmania. The descriptions of the landscape and the magical feel to the story helped me see my new country as a place with imaginative and spiritual meaning. It made me feel more at home, which meant a lot to me at the time. When I read this novel in the 1980s, I knew almost nothing about Japanese culture and history. The saga accompanied me during a whole winter that I spent living on Flinders Island in Bass Strait. By the end of the story, my everyday world seemed flavoured by Japanese sensibility. I was left with an understanding of the power of a book to become part of someone's life. This is a ''truth is stranger than fiction'' account of the marriage of the last tribal chief of Botswana to his English fiancee in the late 1940s. Amid the scandal of how the couple was treated by Britain, there is an amazing report of tribal elders debating law versus love. I was captured by this book from the first page. The American scientist's argument - that the fortunes of different peoples around the world were largely determined by the suitability of the local plants and animals for farming - completely changed the way I saw human history. Katherine Scholes was born in Tanzania, the daughter of a missionary doctor and an artist, and settled in Tasmania when she was 10. 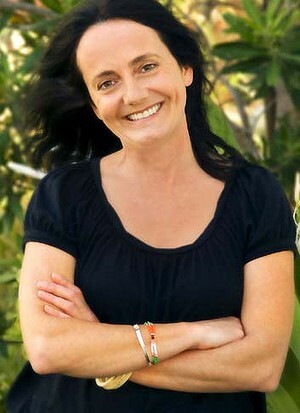 She is the author of bestsellers The Rain Queen, Make Me an Idol, The Stone Angel, The Hunter's Wife and Lioness. Her latest, The Perfect Wife, is published by Michael Joseph.